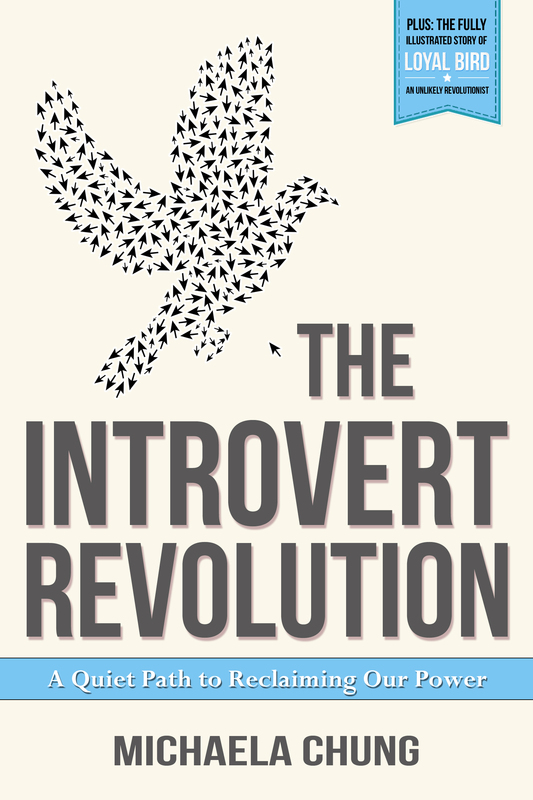 In this inspiring ebook, Michaela Chung invites introverts to peel back the mask of extroversion and discover the hidden treasures of their true personality. Instead of trying to fit in, she encourages introverts to reshape their world to fit them. The fully illustrated story of Loyal Bird: An Unlikely Revolutionist is also included within the ebook. “This is a very well written, empowering and inspiring book. I would recommend it to anyone that would like to understand, accept and appreciate being an introvert.” ~ Joyce S.
Get Your Copy of The Introvert Revolution Now. Signup to receive email love & gifts.